Which drugs are covered. Make sure the prescription drugs you take are covered by your plan, and review the covered drug list for any plan you consider. Most plans have a formulary, or list of covered drugs, which may include different cost tiers. Drugs may move from one tier to another. Premium amount. Check to see what your premium will be for 2016 under your current plan, and make sure it is acceptable considering your out-of-pocket costs. Copays and deductibles. The tradeoff for a low premium may be high deductibles and copays, so you may want to shop around and compare. 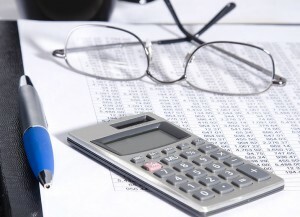 Keep in mind that plans may not charge a deductible higher than $320 in 2015 or $360 in 2016. Donut hole coverage. If you and your plan spend $3,310 on covered drugs, you enter the coverage gap. Use the Medicare Plan Finder to estimate drug costs to see when or if you will enter the coverage gap. If you need additional coverage in the coverage gap, look for plans that offer it. Mail-order or preferred pharmacy benefit. Consider which pharmacies you prefer and which you might be willing to use. You may be able to save money with a mail-order pharmacy or with 90-day prescriptions. Different plans may have mail-order pharmacies, preferred pharmacies or network pharmacies. Palliative care is a branch of medicine devoted to improving quality of life for people diagnosed with serious illnesses. Receiving such care can make a huge difference in patients’ lives, but many people do not know that it exists, or confuse it with hospice care. One of the hurdles to overcome in making this relatively new specialty more widely available is helping people understand when it is appropriate and why it is so important. Palliative care focuses on providing relief from the pain, stress and other symptoms of serious illnesses. Hospice care is a type of palliative care that focuses on people who are dying. However, palliative care is also appropriate for patients who are continuing treatment for their illnesses and are expected to live much longer or even recover. In hospitals and other settings where palliative care is provided, it is delivered by a team of doctors, nurses and specialists to provide additional support beyond that provided by the patient’s primary treatment team. A palliative care team may assist patients with cancer, cardiac or pulmonary disease, Alzheimer’s Parkinson’s, ALS or other illnesses. The team concentrates on addressing symptoms such as pain, fatigue, nausea and depression, improving patients’ ability to endure necessary medical treatments and bettering their quality of life. Pain relief is often a major focus of palliative care. Patients who have serious illnesses or are recovering from major surgery may suffer from debilitating pain, and both doctor and patient may be wary of opioid use because of the danger of dependence. However, pain relief is an important part of treatment, and a palliative care team can help a patient find the best way to relieve suffering. Relief from pain is not the only aspect of palliative care. It also includes more general help with quality of life issues such as accessing community services, living comfortably at home and obtaining medical and personal care services that a person with a serious illness may need. The use of palliative care results in fewer emergency room trips and lower medical costs, in addition to making life more enjoyable for patients and improving prospects for recovery. Advocates for palliative care want the services to become universally available in hospitals, nursing homes and assisted living facilities, but there is much road to travel before that goal is reached. This type of treatment was first defined as a medical specialty in 2007, and many doctors are unfamiliar with it. Doctors who are untrained in palliative care may – like much of the public – equate it with hospice care, and therefore not request it for some patients who may need it. Palliative care is available at most large hospitals in the United States, but patients may have to request it. Depending on the patient’s reason for seeing a doctor, palliative care may be covered by private insurance, Medicare and Medicaid. Patients who would benefit from palliative care, and their families, should advocate for the patient and request the services they need. Many Americans of various income levels expect to make use of Medicare for health care costs after age 65. However, it is important to note that Medicare does not pay for care at a nursing facility except in certain circumstances. First, let’s review what Medicare does cover. Medicare Part A covers care in a hospital and Part B covers outpatient services. For these benefits, there is a choice between traditional Medicare or a network plan, Medicare Part C or Medicare Advantage, in which the government pays for private coverage. Finally, Medicare Part D covers outpatient prescription medications. So where does nursing home care fit in? Nursing home care is only covered for a limited time if it is necessary after a hospital stay. If a patient is hospitalized for three consecutive days or more and is then admitted to a nursing home within 30 days and a doctor certifies that the patient needs care that can only be provided on an inpatient basis at a nursing facility, then Medicare will cover a stay of up to 100 days. Only facilities approved by the Centers for Medicare and Medicaid Services (CMS) can be covered. If the stay lasts longer than 100 days, then patients are expected to pay for the care out-of-pocket until the point that they become eligible for Medicaid. The rules above are confusing enough, but their interpretation can get even more complicated. Some families have been denied Medicare coverage for a nursing home stay because the hospital deemed their stay an “observation” rather than an “admission.” In other cases, because a hospital day is usually measured as midnight-to-midnight, patients may believe they have been in the hospital for three days, but find that the hospital measures their stay as less than three days. To monitor Medicare charges, CMS employs private contractors who receive contingency fees based on the overcharges that they discover, so they are motivated to deny coverage whenever they can. For a doctor to certify that treatment in a skilled nursing facility is required, the patient must need rehabilitation services for at least five days a week, or skilled services for seven days a week. Services such as, for instance, tube feedings would qualify for nursing home admission. Other services, such as rehabilitation services that could be given 3 or 4 times a week on an outpatient basis, would not be covered. Even if Medicare covers a nursing home stay, there is only full coverage for the first 20 days. After that, a co-payment is required. These co-payments, and the cost of a nursing home after 100 days, may be covered by Medicare supplemental insurance, if the patient has such insurance and submits a claim. Many middle-class families, facing the prospect of seeing an older loved one’s life savings consumed by nursing home costs, are turning to trust planning to protect their assets while still allowing them to be eligible for Medicaid. An elder law or estate planning attorney can create a trust for an older person to transfer assets, thus reducing the person’s wealth level enough to become eligible for Medicaid. Another strategy for dealing with nursing home and other long-term health care costs is long-term care insurance. With proper planning, families can manage the costs of a stay in a nursing home. According to a recent study released by the University of California, San Francisco, close to one-third of elderly people needing end-of-life care enter a nursing home. The issue? Nursing homes are not always the best environment for end-of-life care. A nursing home is equipped to oversee many basic elements of end-of-life care, including IV hydration and monitoring vital signs, but staff may not be adequately responsive to issues such as pain management, palliative care and support for bereaved family members. The study used data from 1994 through 2007 from the National Health and Retirement Study. Researchers examined more than 5,000 cases of people who lived independently. Some 30 percent of individuals older than 85 eventually used their Medicaid skilled-nursing facility (S.N.F) benefit within the final six months of their life. Care options are limited for those with tight budgets. While some end-of-life nursing home residents can receive hospice care in a nursing home, Medicare seldom reimburses for the room and board provided by the facility as well as hospice care. Residents must choose – and nursing home room and board can add up to hundreds of dollars per day. An individual can choose to have home hospice care and use those Medicaid benefits, but if there are any “medically complex” issues, home hospice may not cover those expenses. Additionally, home hospice assumes there are family members and a home where care can be given. An individual who needs 24-hour care may have to choose between skilled care and hospice care. But for many, the need of 24-hour care outweighs other options. Complicating matters further is the way Medicare restricts coverage: if an individual is hospitalized for a diagnosis unrelated to the hospice diagnosis, he or she can often get nursing home and hospice coverage. Medicaid may look like a tempting long-term-care plan for retirees who want to pass assets on to their heirs, but that approach has its share of financial pitfalls. Investors nearing retirement are asking more questions about Medicaid — the state and federal program that aids people who can’t afford to pay their medical bills — and the role it can play in helping to cover LTC costs. Nationwide Financial Services Inc. and Harris Interactive Inc. polled 501 financial advisers and found that 42% think of Medicaid planning as a way to preserve money for their heirs. Medicaid requires applicants and their spouses to meet certain income and eligibility rules to qualify for the program: For instance, monthly income cannot exceed the costs of long-term care, and applicants generally cannot hold more than $2,000 in assets. Enter a variety of Medicaid strategies that “impoverish” the person applying for the program in a bid to get under the $2,000 limit. But Medicaid applicants face a five-year look-back provision for asset transfers. About half of the advisers polled said that they’ve had clients ask them about giving all their money to their children to qualify for government assistance in paying for long-term care. 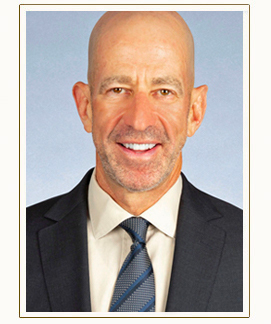 Much of that anxiety is driven by the shakeup in the LTC insurance business, as well as the fact that today’s economic realities place greater emphasis on preserving wealth, noted Bernard A. Krooks, founding partner of Littman Krooks LLP and past president of the National Academy of Elder Law Attorneys. Clients who were unable to pass the underwriting process at an LTC carrier may be interested in Medicaid planning. Many misconceptions come with Medicaid planning, however, which is one reason advisers might want to consider seeking outside help. “We would encourage advisers to work with elder-law attorneys,” Mr. Carter said. “There can be a lot of risk if you do it on your own. Clients are also unaware that Medicaid covers nursing home care but typically won’t foot the bill for assisted living and other care options, according to Nationwide. Additionally, Medicaid patients have very little choice in where they end up residing, and they won’t have access to private rooms. Though advisers are becoming increasingly aware of the need to educate clients on covering the cost of care in retirement — 72% agree that many clients don’t see how crucial it is to plan for health care costs in retirement — many advisers also come up short on other facets of planning for long-term care. For instance, 60% of the participants said they couldn’t explain to clients how the Affordable Health Care Act will affect their retirement. Only 42% were aware of filial-responsibility laws, which are state rules that establish a legal duty for children to support their impoverished parents. Nursing homes and other third parties can pursue children whose parents end up in care and are unable to pay. To visit the Investment News website, click here. As people approach their golden years, they should be aware of public benefits that can improve their quality of life. The Brookdale Center for Healthy Aging and Longevity has produced a helpful Benefits Checklist for Older Adults. The Center is associated with Hunter College, of the City University of New York. The first item on the list is Medicare, which guarantees access to medical insurance for Americans over the age of 65. Medicare Part A covers hospital care and provides limited coverage for hospice and in-home care. Part B provides limited coverage for outpatient services, physicians and durable medical equipment, while Part D covers prescription drugs. Another important benefit is Supplemental Security Income (SSI), which provides monthly cash benefits to individuals age 65 or older, and to persons who are blind or disabled. To receive the benefits, individuals must meet certain income and resource limits, and must submit an application. There are also benefits that apply specifically to older New Yorkers, such as the New York State School Tax Relief Program (STAR). New York state residents who meet certain income limits can receive a reduction in school property taxes. A real property tax credit and the Senior Citizens Homeowners Exemption (SCHE) are also available to those who qualify. There are many public benefits that can provide assistance to seniors, and it is important to be aware of the help that is available. 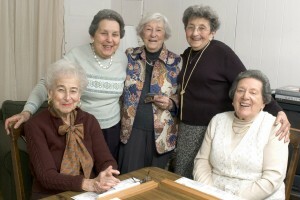 To learn more about our estate planning services, visit www.elderlawnewyork.com.